Welcome to my new web-site. For a long time I have been concerned that people have very little opportunity to ever hear my music. That is my main motivation for creating this web-site. You will be able to hear musical works of mine right here on this site via embedded YouTube videos. And periodically we will add more of my music for your enjoyment. Steven Gellman. 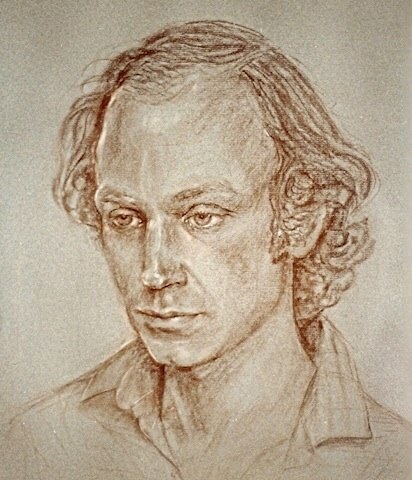 Portrait by Cheryl Gellman. Some of the pieces that you will be hearing on this site are available on a CD of my chamber music : “Musica Eterna: Chamber Music of Steven Gellman”, produced by Cansona Arts Media and available from them, as well as on iTunes. Scores of my music and some recordings are available from the Canadian Music Centre. Also at the Canadian Music Centre (CMC) are extensive archival recordings of my music. Go to musiccentre.ca, Composers – Steven Gellman – and you will be directed to these recordings (you will be asked to set up a free account there in order to listen). In the meantime I hope you will enjoy the music, and please let me know how you are responding to the music and to the site. I welcome your feedback.